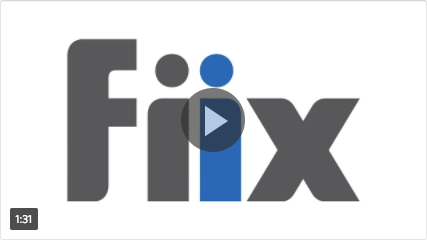 Contact our sales team at sales-bdr@fiixsoftware.com. They will walk you through a customized demo and answer any questions you might have. Setup is straightforward. When you first log in, you will set up your user(s) accounts, add your assets, and then create and assign work orders as needed. There are “how-to” videos for each action you will need to take. Personalized training is also available.